Women with a round face should be diligent about finding a talented hairdresser, one who knows their craft well when it comes to face shapes and hair types. I would venture to say that more than half the women with curly hair and a round face have had what they would call a, ‘haircut from hell,’ more than once in their lifetime. So when this question came in from Elsa, I know she knows she has fewer hairstyles to choose from that will fit her round face, curly hair type and her lifestyle issue of needing a quick and easy hairstyle. If you are thinking short hair, I like this hairstyle that Meg Ryan (Yes, I know that Meg Ryan does not have a round face) is wearing for Elsa, but I would style it more off-center and shape it a bit tighter to the face at the ears. This layered haircut will make the most of your curls and be quick and easy to style with little shaping involved. Long curly hairstyles can be quick and easy to style. You can do ponies, half up do’s, twists, buns, scarves, braids, the options are almost endless. 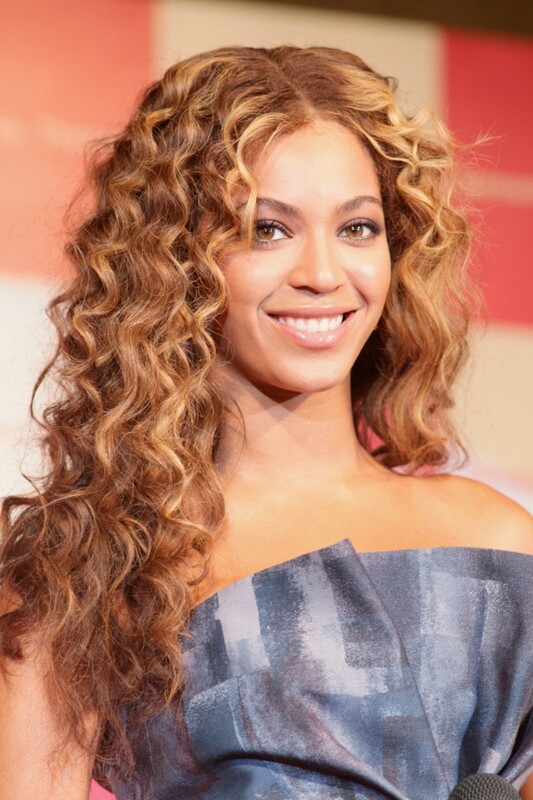 The key to wearing long curly hairstyles well is having a good shape with the right layering for your hair type. Most curly hair is thick hair and layering is one way of thinning the hair as well as shaping it. And, it should go without saying, to keep it as healthy as possible. Shampoo less, condition more and use a curl defining product, like TIGI’s Catwalk Curls Rock . So, here is a quick rundown of my suggestions of ‘what NOT to wear’ for curly round face hairstyles. For more hairstyles that might make your face look thinner check out our Pinterest Hairstyles for Round Face Board. January 19, 2013 By: Barb Quinn Hairstyle Blog Leave your comments (7), Your input matters. Choosing a hairstyle for a round face is easy if you just follow a few secrets. If you have a perfectly symmetrical face shape, you have a round face shape. Usually, people with round faces have a wide hairline with fuller cheeks, making the neck look shorter. The right hairdo can add to your personality in magical ways and it is imperative to style it according to your face shape. No need to fret, with a correct approach and the right hair styling tools, you’ll definitely get a great look. You’ll be perfect if you keep two things in mind: one, your hair should make your face look slimmer and elongated. Two, it should draw away the focal point of your face from your cheeks’ fullness. The list for styling tools starts with the scissors and hair brush or combs. You need smother hairstyles. The best hairstyle for round faces are those that are longer than your face. However, short hair with a swept back style can also be flattering. Use your hair brush or comb to sweep a large amount of your hair to one side. Side swept bangs makes your face look narrower and can have a flattering look. When considering what style works best for a round face you should try to avoid short crops, straight bangs and center parts. A heavy layered bang, with layers at top and hair close to the face will elongate the look. For this you need to use hair styling tools like hairspray or hairpins etc., to hold your hair in place. Big curly hair will add volume to the sides, and will make your face appear wider. A hair straightening iron is the tool for you. You must avoid having weight of your hair near the ears and cheek. Those of you with round face shapes should certainly consider having a short haircut close to your face. But if you have straight hair, long curls with dangling tendrils are very good as long as they are far from cheeks. A hair iron or rollers to make the curls is the needed hair styling tool here. A bob haircut is specially recommended for women with double chins. A shagged long hairstyle will make your face look slimmer. October 14, 2012 By: Barb Quinn Hairstyle Blog Leave your comments (3), Your input matters.